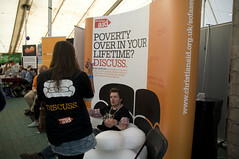 I spent my volunteering time at Greenbelt promoting a new Christian Aid youth resource, the Sofa Sessions. 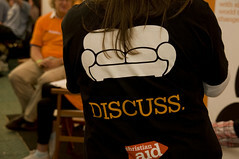 Pretty cool new resource designed to get young people discussing and debating issues of global importance in an informal, relaxed way. More Greenbelt thoughts and photographs shall be appearing here over the next few days.